We are excited to be able to have the extremely talented ceramist Mike Milner, as part of our in office team. Mike moved from another part of the city to be with us, and now is located in our second floor suite. He has been working with Dr Gray for the past 8 years, and has been an instructor at some of the finest cosmetic programs in the nation. 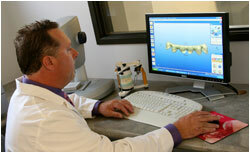 He also held one of the lead positions for Micro Dental, the top cosmetic dental laboratory in the US. 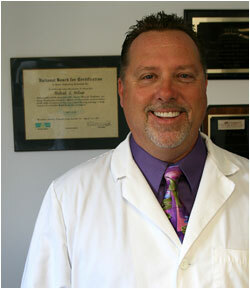 He has over 25 years experience in creating beautiful and natural smiles. A key part of creating those beautiful smiles, is the communication and teamwork between the dentist and ceramist. Dr. Jeff Gray and Mike speak several times a day regarding each of the smile enhancements they are currently working on. Call us today at 619-717-8560 to schedule your personal consultation or email us at smile@smilesandiego.com. You can also contact us regarding any questions or comments you may have regarding Jeff Gray DDS – Sedation and Cosmetic Dentistry, this website or to arrange to talk to Dr. Gray regarding his cosmetic or sedation dentistry services. You can also get additional information under our general information page.